As I alluded to in that post, I was disappointed that the DSM's Transvestic Disorder diagnosis received so little attention at the time. But this latest interest/outrage encourages me that we may be able to work toward completely removing this diagnosis from the next revision of the DSM (DSM-VI?). This morning, I woke up and found my Twitter feed full of article links celebrating that transgender people are no longer “disordered” according to the DSM (that is, the Diagnostic and Statistical Manual of Mental Disorders - often referred to as the "psychiatric Bible" because it contains all of the official psychiatric diagnoses). The DSM gets revised every 10-20 years or so, and diagnoses sometimes get modified, expanded, or completely removed. The change that people are now celebrating is the fact that the previous diagnosis of Gender Identity Disorder (GID) has now been changed to Gender Dysphoria. Admittedly, the new Gender Dysphoria diagnosis is an improvement over GID for a number of reasons - Kelly Winter of GIDreform.org describes some of these improvements, as well as many of the lingering problems with the new diagnosis. Despite the remaining drawbacks (for instance, that gender variance is still formally pathologized in the DSM), many people seem excited that transgender people are no longer described as being "disordered" in the DSM. But the problem is that this is patently untrue. hey folks! just a quick update about a flurry of upcoming events I have! 1) San Francisco reading Wednesday (tomorrow/today) November 7th. 2) “Our Art is Our Advocacy” panel at the Transgender Leadership Summit on Friday, November 9th. 3) presentation at Boston College on Tuesday November 13th. 4) SF Dyke March forum on AGE DIVERSITY AND GENDER FLUIDITY on November 15th. Hello! So news about this upcoming event (a reading I am giving) has been getting around on Facebook. But for those who haven't seen it, here's all the details - hope you can make it! -j. 1) consider bringing julia out to your campus! If you are affiliated with a college - especially if you belong to a trans, LGBTQIA+, and/or feminist-related organization - please consider bringing me out to your campus! And even if you aren't associated with a college yourself, please feel free to forward this onto people that you know who are students, staff, or faculty somewhere. going to Dore Alley Street Fair? consider volunteering on behalf of Girl Talk! 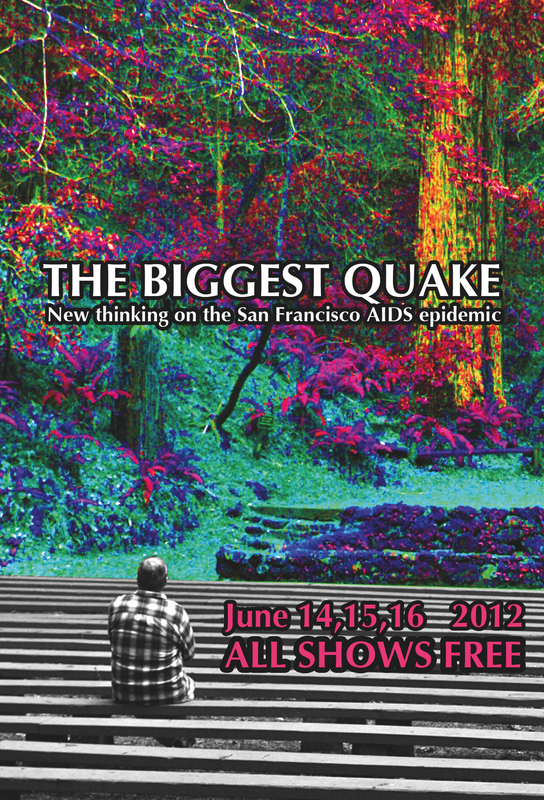 So as I mentioned in a previous blog post, last month I had the honor of reading in Kirk Read's show Biggest Quake: New thinking on the San Francisco AIDS epidemic. The event ran 3 nights, with writers doing different material each night. It was one of the most amazing performance experiences of my life - my fellow performers' pieces were so beautiful, funny, intense, and moving. So a few days ago, a trans woman of color was murdered in my neighborhood, just a few blocks from my apartment. There has been scant media coverage about this, so some of us are trying to get the word out. Please help pass this news around. And if you know any media folks, please encourage them to cover the story. Here are all the links to this story that I am currently aware of. If you have additional ones, please post them in the comments section. Thanks! -j. So some of you may already be aware of this, but yesterday my article "Trans Feminism: There’s No Conundrum About It" appeared on Ms. Magazine's blog. 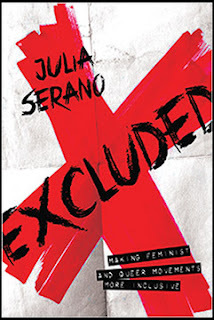 It is my rebuttal to a previous article on trans feminism that they published last month. If you're interested, you can check out the aforementioned link...enjoy! -j. 1) Girl Talk 2012 videos! 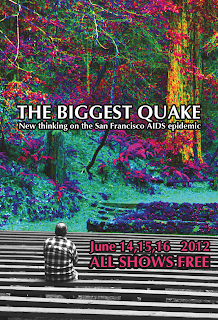 2) upcoming San Francisco shows! I am often asked to explain trans-misogyny to people. While I've written extensively about trans-misogyny in Whipping Girl and other places, I sometimes find it difficult to sum up the concept in a few short words. This is especially true when explaining the concept to people who are relatively unaware about trans issues and experiences. Such people are often stuck in the mindset of viewing trans women as "men", and as a result, they have a hard time wrapping their brains around how misogyny might impact trans women's lives. Julia @ Southern Oregon University! Come to the "Girl Talk" pre-show mixer Thursday @ 6pm! We (the co-curators of Girl Talk) are throwing a mixer just before the show! There will be food and drink, plus music provided by the amazing DJ CPI! There will be a merch table where you can check out (and perhaps even procure) books, CDs, zines, etc., by Girl Talk cast members. But most importantly, this will be a chance for those of us who are committed to fostering community between queer trans women and queer cis women to meet one another, chat, and have a bit of fun before the event begins! Girl Talk tickets selling like hotcakes!!! stop for a minute to catch my breath. recall how, as a young child, I thought that the medical condition pneumonia and the chemical ammonia were somehow interrelated. Hey folks, so over the weekend the official Girl Talk 2012: a Trans & Cis Woman Dialogue details were announced! Here is the official Facebook invite and here is the official QCC website. All the details also appear below. 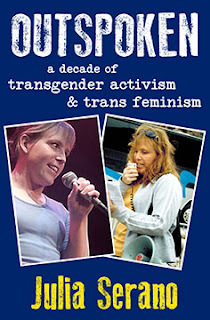 Upcoming queer trans women & cis women events! Hi folks, just figured I would pass this along, as some folks who follow my blog might be interested. It is a press release from the Femme 2012 conference, which will be in Baltimore this August. Not sure if I will be there, given that it is kinda sorta on the other side of the country from me. But if you have an interest in attending or presenting in some capacity, I encourage you to check it out... -j. So back in the early fall of 2010, I set a goal for myself: I promised myself that I would finish writing my (currently untitled) second book by the end of 2011. It was a new years resolution of sorts, albeit made several months in advance of Janurary 1st. However, sometimes in life, things do not go quite as planned. When I made that commitment, what I did not know was that the minor “scalp problem” I was dealing with would eventually blossom into my first major full-on psoriasis flare up. At the time, I was unaware that I had the condition. In fact, I did not even know what psoriasis was, although later I would find out that it was the condition that was responsible for all the scabs that covered my grandmother’s legs, which I remember from back when I was a kid. And I would later find out that several other relatives on that side of my family had it too, although they covered it up by always wearing long sleeves and long pants. Even though it ran in the family, no one ever really talked about it (or at least they did not talk about it around me).